Made with the thickest of real leather materials and attached in with a satisfying quilted inside lining, this Elder Battle Jacket is one solid deal for your hard-earned money. Shaded with a distressed brown hue, this outfit prevails with a metal rust harmony and intrigues in a retro-futuristic reflection out from it. You will be awe-struck with its blend manufacturing scheme – hand firmed thread weaving as well infusing belt straps with a tapestry machine. Looking at it specs, the Standup Fur collar along with wide notch lapel gives the best garment experience you can ever enjoy. Other fabricated fragments supplemented to this Destructive Elder Jacket comprises pin fasteners to show clues of refinement, padded patterns all across to man up your personality a little bit. The coat also has two pockets outside placed right in the position to hold your hand and keep them warm while two inside pockets are made to keep your valuable safe. The Maxson Jacket is suitably designed to work astonishingly, even when the temperature goes below 0°C. This coat is just not any ordinary coat; it’s your friend that will protect you from breezing air. Been searching for this coat since a long time. Finally I have it in my closet and it feels superb wearing it all day. The coat is warm, fits perfectly and the quality of leather is thick and hard. This Coat has almost all the details. Best of best for the price. The quality and the style of coat is good. 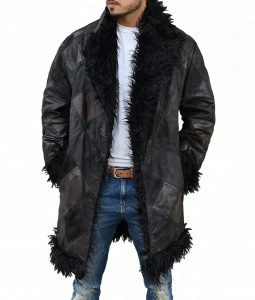 It’s the most accurate coat of Maxson available in such a reasonable price. I genuinely ordered size medium and it fits perfectly around my body. My height is 6ft and the length of the jacket lies on the end of my knee. 5 Star for this Maxson Jacket. Well this thing looks great! Quality seems pretty good but it does feel like a costume piece. Lots of nice detail and looks better in real life. I’m about 6 foot, average build, and the medium fits perfectly. Honestly… This jacket is completely awesome. It looks and feels great. Leagues better then I expected. If your thinking about buying but aren’t sure…. let me tell you.. just do it.. you won’t be disappointed. My wife thinks it’s “super hot” (that’s what she said) maybe your’s will too! I’m 6″1″ and about 180 lbs and the M jacket fit me perfectly. The coat is absolutely fantasatic, there’s nothing missing ,even the smallest details. Quality of leather and feeling of coat is great. Shipment was promt as well. The coat is amazing. The shipping was late but that can be observed why they got late after watching this coat in real. I pretty loved the distress texture that is much similar to the Bane Coat. I got two extra buttons in the parcel in case if I lose any and it’s a plus point. I wish I could share my image here. In simple words, THIS COAT IS PERFECT. However I thought that it’s a bit more for the price but trust me, this worth every single penny you spend on it. I ordered it with express shipping which was here within a week. It has brotherhood of steel patch on the right shoulders and fine white thread stitching just like in the game. It has two huge outside pockets and two inside pockets as well that has enough room for iPhone 7 Plus. One thing that is disturbing is the weight of the coat. Thought it’s too heavy and is in cow hide. It would be better if they use goat skin for it. It’s warm and good to wear in winters. 5 simple stars!! This is simply a fabulous coat. Warm inside and stylish outside. I’m really in love with this. 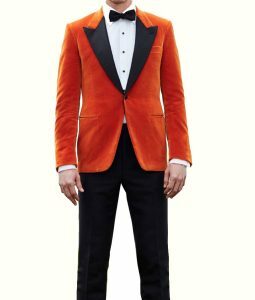 I ordered this Arthur Coat in size XXL, I’m 6’2″ 220lbs. The jacket is a bit shorter for me. the edge ends slightly above of my knee. Rest the color and style is good. I will say this coat own every penny i paid for it. my friends are also looking to order but they will do it for Halloween though. Very high quality, I got it on my 13th birthday and im really happy with it, it came in the mail after about 2 weeks but was well worth the wait. I got a medium size and have room to grow, cant wait until it gets colder so I can wear it regularly. Would definetly recommend. Customized one for myself. The coat is pretty warm. I fell in-love with this coat in the game when I first saw it, and I fell in-love with it all over again when I opened the package and tried it on. Amazing details, very authentic looking; good quality, quite warm. Absolutely worth the wait, shipping is super fast, fits perfectly for the price you pay. I have purchased custom size after contacting customer support (which was super helpful and polite!). Thank you, USAJackets, for making my little dream come true! Exactly as described. Great fit and excellent quality, and it’s quite warm which is great for this frigid weather. This jacket is awesome! Holy Steel! This coat is something else! It is so comfortable and WARM! I adore it, I will admit I had my doubts about this when I had ordered it. But it will NOT disappoint you! I would definitely recommend purchasing this jacket! It is worth every penny spent on it! At first I thought this website was kind of strange and I also was concerned because it was hard to find details about how long my shipment would be for my purchase. Additionally, it also seemed difficult at first to speak to a customer service representative and I was skeptical also because of the seemingly non-stop ads that kept popping up(my personal gripe admittedly). However, once my product had come through and after speaking to Lisa from customer service I can see the people behind this website really seem to know what they’re doing and put a lot of effort into their products! They care a lot about pleasing their customers and you won’t be disappointed with any purchases. Don’t be afraid to make a purchase off this website! You really won’t regret it! I bought this jacket being a long-time Elder fan and it seemed really cool to wear just for general purposes! I absolutely love the jacket! My friend recommended me this jacket. He recently purchased one from here. I’m happy with the quality of leather and it’s quite warm like the Bane Jacket. Awesome jacket. I found your advert on facebook. Some time later, I showed it to my wife. And she, finally, bought it as my birthdaypresent. First we were a little bit affraid in following “super-duper-sales”, especially around the world. But we had no complications and an all-in-all delivery time of about 3 weeks (to Germany). No speed record, but we estimated 2 more weeks. The material is nicely heavy, feels good and seems to be well sewed. The only point, I am a little little bit disapointed about, is the leather of the jacket came in a much darker brown and is way less worn/distressed as shown in the pictures on the website. Doesn’t hurt that much, I can help myself with that ? Maybe, you guys could offer different stages of distruction to the customers? All in all, thanks guys for offering that “super-duper-sale” to us. ? The jacket is great overall. Only real complaints are that I received a small when I ordered a medium, the flaps on cuffs unbutton easily, and the center button broke off (likely due to recieving a size down). That being said, it is warm and it is comfortable, and I’m sure it’s a 5 star product if you receive the right size. Super dooper coat. The sewing is wonderful and I would love to check whether the entire facade side could get secured. But this isn’t the case since this jacket does not support a fully wrapped up wearable. I would have no inconvenience yet to reassure myself this is the thing that I will get that puts resources into a 10/10 guts article of clothing background you are getting with such a little expense. I got myself a medium estimated one and it fits me in a bit enlarged over my physical dispositon. It keeps running down from my neck to my knee like some shapeshifting gatekeeper swathed over me. In the end all I could to do to make myself satisfied in that rest assured bit was to hand it over to my elder brother who has no trouble hitting the gym at a regular basis. Now here I am with money well-spent from the bank with empty hands. Now I guess why I’m treating myself to be the part of Elder Maxson’s brotherhood. This product is the contest winner without a doubt if you put a rivalry against this USA Jacket bestseller Elder Maxson coat. 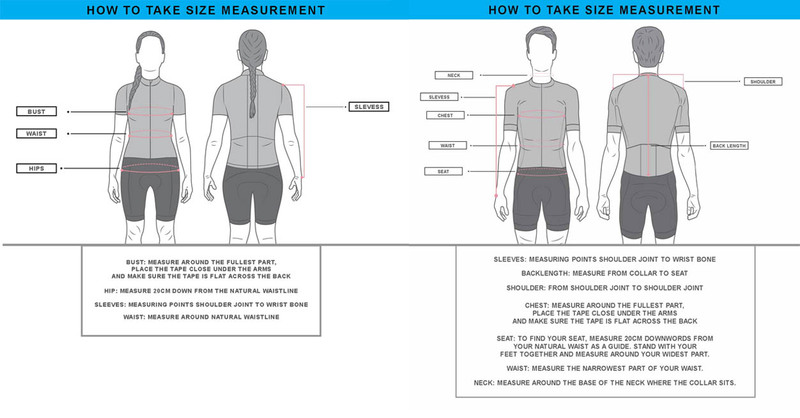 Just be sure you are getting a little lower sized outfit than an actual fit appropriate for your body. Review Moral: Always follow the size chart before ordering yourself a splendid stunner! Answered by the admin	We can but it will be a bit costly for you. We recommend you to please contact to any near tailor to arrange the same studs for you. The studs we have used can easily be found in the market. Answered by the admin	The jacket has three front button closure style in front. If you're asking for full front closure then it is impossible in this jacket. Answered by the admin	yes you can. just add the changes you want in the comment box on checkout page. Answered by the admin	The images of the patch will be sent to you via Email. Answered by the admin	The leather is waterproof but the lining inside is not. Answered by the admin	It vary from size to size. Please mention your size for confirm measurements. Answered by the admin	The collar is styled to stand-up so it won't come down. Follow up your question, you can iron it in professional way to keep it standing. Answered by the admin	Yes, the collar does stays up like shown in the image.